Compare at $27499 - is just $24999! Have you driven a Ford lately? If not and are considering a compact SUV, the 2017 Ford Escape has got to be on your list. 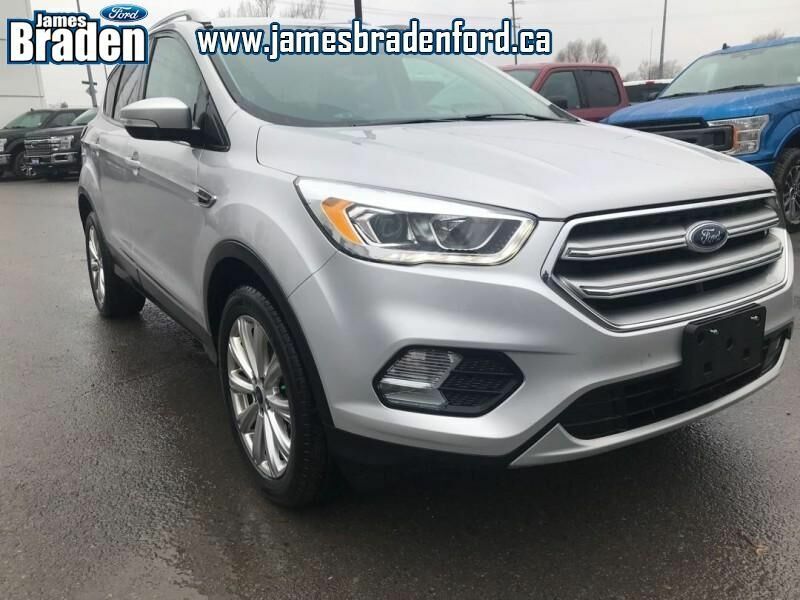 This 2017 Ford Escape is fresh on our lot in Kingston. For 2017, the Escape has under gone a small refresh, updating the exterior with a more angular tailgate, LED tail lights, an aluminum hood and a new fascia that makes it look similar to the other Ford crossovers. Inside, the Escape now comes with an electric E brake, which frees up the centre console for more cargo and arm space.This SUV has 53518 kms. It's silver in colour and is major accident free based on the CARFAX Report. It has an automatic transmission and is powered by a 245HP 2.0L 4 Cylinder Engine. This vehicle has been upgraded with the following features: Leather Seats, Rear View Camera, Bluetooth, Heated Seats, Heated Steering Wheel, Premium Sound Package, Power Tailgate. It has some remaining factory warranty for added peace of mind.